Thaumasite is stimulating to the mind and can enhance your thinking and may create a new way of thinking. 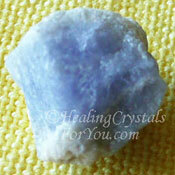 This is a strong spiritual stone that may assist you to gain a greater understanding of why you are here. 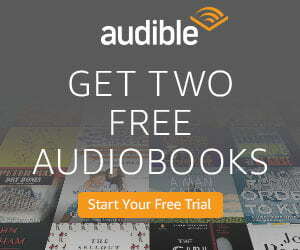 It encourages you to have an awareness of what is the best interest to follow in the future. 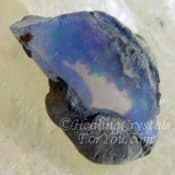 They are excellent healing crystals for you to put to good use as their energy may assist you to take control of your life so that you no longer allow limiting beliefs to overcome you. 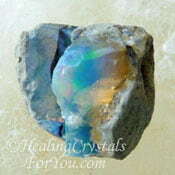 The properties of stones like these relates to its energy to assist you to make a connection to the higher planes of existence. 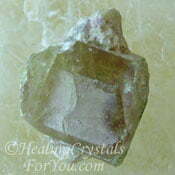 This stones meaning comes from a Greek word 'thaumazein' meaning 'to be surprised', which is related to chemists being surprised at the chemical make-up of these crystals. 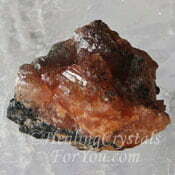 It is found alongside minerals such as Gypsum, Pyrite, Calcite, Analcime and various zeolites including Apophyllite. 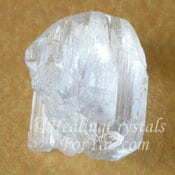 These stones may be colorless, snowy white or yellow when it occurs in the crystalline form, like the piece shown here. It is a fluorescent silicate mineral that occurs both as fibrous masses and as prismatic hexagonal crystal that often have a lovely radiating form. 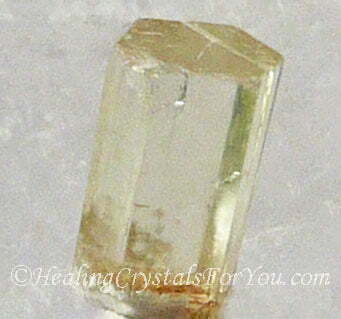 It is an uncommon crystal that is found in only a few places including South Africa, Germany and Sweden where it was first discovered. Why Would You Use Thaumasite? 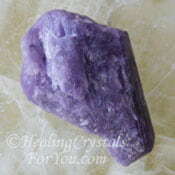 This is a lovely stone to use in meditation as it has a quite strong action to assist you to make a deeper connection with the Divine mind via its energy at the crown chakra. 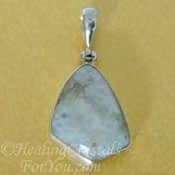 Its energy helps you to be aware of the necessity of making an on-going spiritual connection, aiding you to have a greater appreciation of your relationship with other people on the planet. It helps you to have greater understanding and recognize specific life situations that you are undergoing and their relationship to your spirituality. 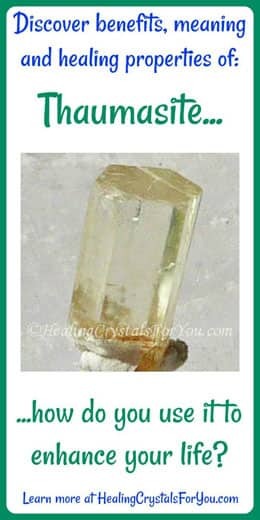 These crystal has an unusual vibration that creates stimulation that may aid you to make more accurate intuitive decisions. If you are having difficulty making others understand what you are trying to convey, its energy helps to bring clarity to your communication. Its vibration also helps you let go of old beliefs that have been limiting your thinking, and stopping you from living life on your own terms. Once you can allow yourself to take control of how you live life you can move forward in a new direction. 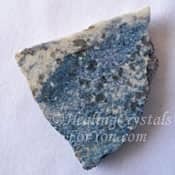 The vibration of this stone is highly beneficial as it may help you to find an answer to problems that are currently concerning you in your present life. 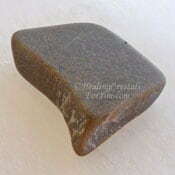 These stones are stimulating to the mind, activating more profound intellectual thinking. This type of thinking may assist you to find answers to issues that are you need to solve and aid you to decide possible actions to create the best solution. They have an unusual calming energy that assists you to liberate yourself from negative emotions such as anger, fear and the desire to carry out behavior that might harm another. 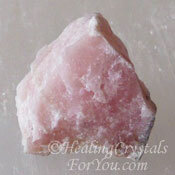 If you have concerns about your health and are unsure of what to do to help yourself, use this stone in meditation. While deep in the meditative state, reach out for an answer about what is worrying you, and allow your intuition to guide how you seek for answers. 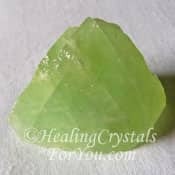 The healing attributes of this stone are interesting as they are beneficial to assist you to take inner journeys to discover solutions to health concerns. These journeys may allow you to discover more about what you can do to resolve specific health issues you may be suffering. 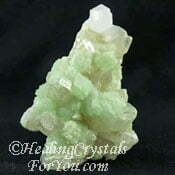 It is also known to assist the healing of bone spurs and problems in the tendons and muscles. 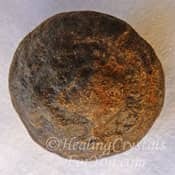 It may also aid the healing of mental issues related to the flow of energy within the outer layers of the auric field that may affect the brain. 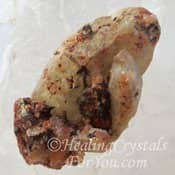 This stone is helpful to assist you to cope with feelings of fear, but if you feel you need extra help with this, there are a number of other stones that aid the release of fear. 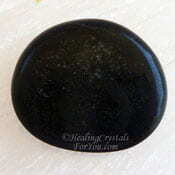 Stones that aid the release of fear includes Witches Fingers, Prehnite, Staurolite, Black Jade, Vesuvianite, Shaman Stones, Scapolite or Stichtite. 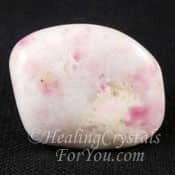 This stone may assist you if you need help to get a handle on overwhelming angry feelings that may be making you take actions that you would rather not do. 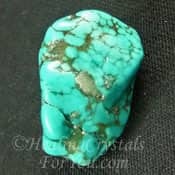 Other stones to use with it, or on their own, to assist with the release of anger includes Larimar, Green Calcite, Rose Quartz, Agrellite, Black Obsidian or Black Jade. 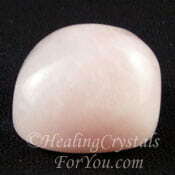 This stone has a good action to assist you to discover solutions to problems. 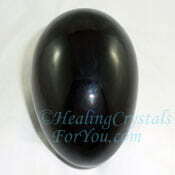 Use it with other stones that also enhance your ability to find answers to issues that are concerning you. 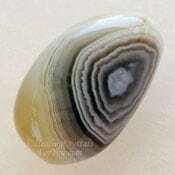 There are a number of other stones that aid problem solving, including Datolite, Afghanite, Hackmanite, Turquoise, Chiastolite, Blue Muscovite, Thulite or Cookeite. 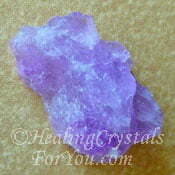 To stimulate your spirituality, you may also like to use it with other crown chakra stones. 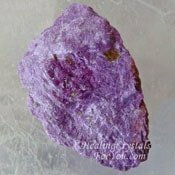 There are quite a few powerful crown chakra stones that you might like to use and many are well known, such as Phenacite, Herkimer Diamonds, Datolite, Howlite or Selenite. 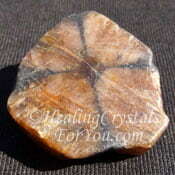 Other less common stones include Beryllonite, Hackmanite, Novaculite, Botswana Agate or Ethiopian Opal.